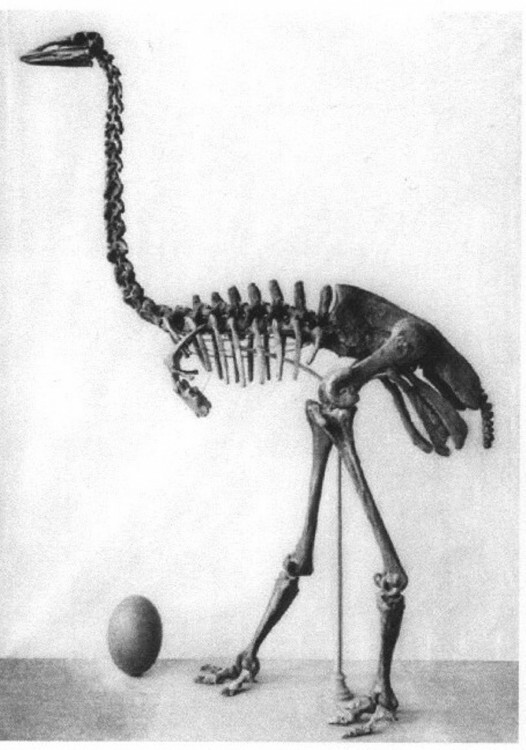 The Elephant Bird, Aepyornis maximus, is an extinct bird of huge proportions, and its name derives from the Greek "Aipus" high and "Ornis" bird. It belonged to the Ratite family, along with the Ostrich, Emu, & Moa, whose characteristic is a keel-less breastbone, making flight impossible. It is a result of the mid Cenazoic Australian Ratite emmigration, 23 million years ago, when birds flew across the Indian Ocean. Once in Madagascar the birds evolved to be flightless. The bird weighed a staggering half a ton, and stood over 3 metres tall. The eggs were also of giant proportions, with a content equivalent to 8 Ostrich eggs, or 140 Chicken eggs!! 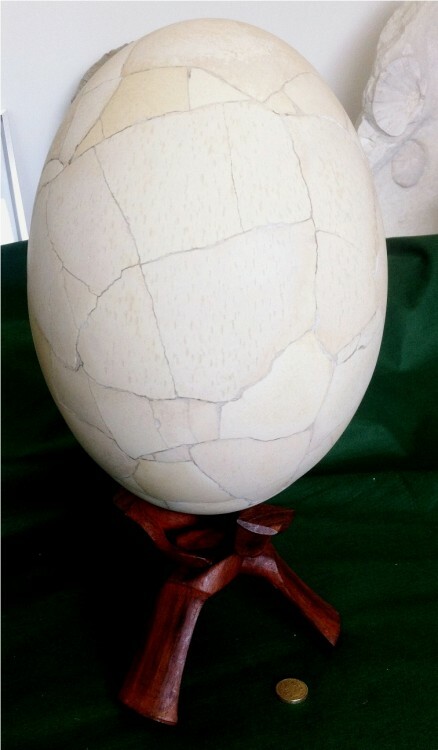 It is believed that the bird laid only one egg, possibly every other year. Bone remnants are scarce, but some bones that have been discovered show signs of butchering. The bird is thought to have become extinct in the mid 17th centuary, due to increased human activity, killing and eating the birds, and also taking the eggs, and also due to climate change. 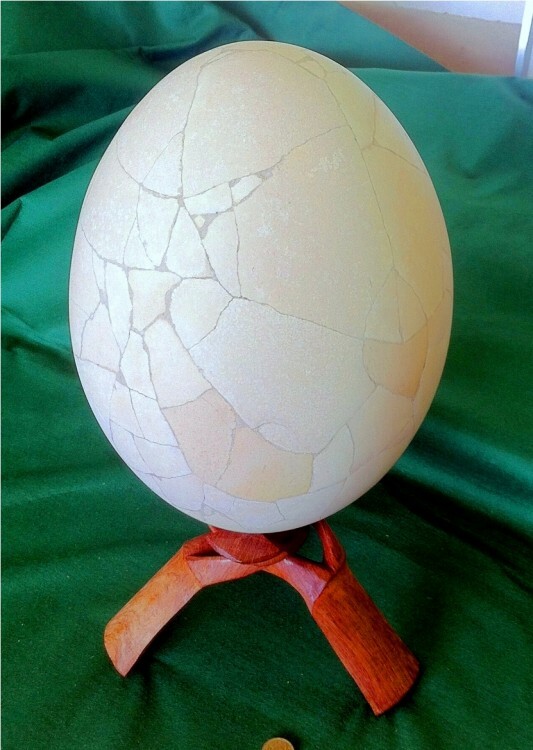 Undamaged eggs are incredibly rare, and can fetch up to £40,000 at auction. 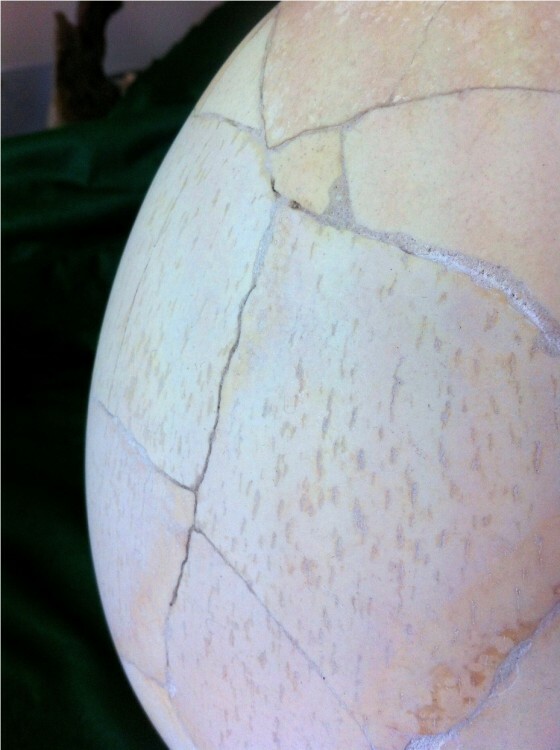 The majority are reconstructed from shell fragments, and bonded back together, to form a solid egg that is hollow. Once reconstructed they are extremely robust. The colours of the pieces differ slightly dependent upon the ground conditions where they lay prior to reconstruction. All the pieces are genuine, with no human fabrication. This is a unique opportunity to own a rare, and appreciating asset of this extinct giant bird. The piece is complete with a stand for display purposes.